With many travellers likely to start their journeys in Tokyo, here are five places you should consider visiting via train when you find yourself in Japan’s bustling capital. If you’re planning to do some travelling through Japan for even the shortest amount of time, you’re likely to be doing so via train. And not just any trains, but some of the fastest, most modern trains in the world. Today, Japan’s electrically-run bullet trains (shinkansen) are ubiquitous, weaving their way through big cities and rural towns alike. For many visitors, travelling on a bullet train – comfortable, punctual, efficient, fast – is all part of the Japan experience, and with many travellers likely to start their journeys in Tokyo, here are five places you should consider visiting via train when you find yourself in Japan’s bustling capital. Located close to the majestic Mount Fuji, nearby Hakone is perfect for a relaxing day trip or weekend getaway. 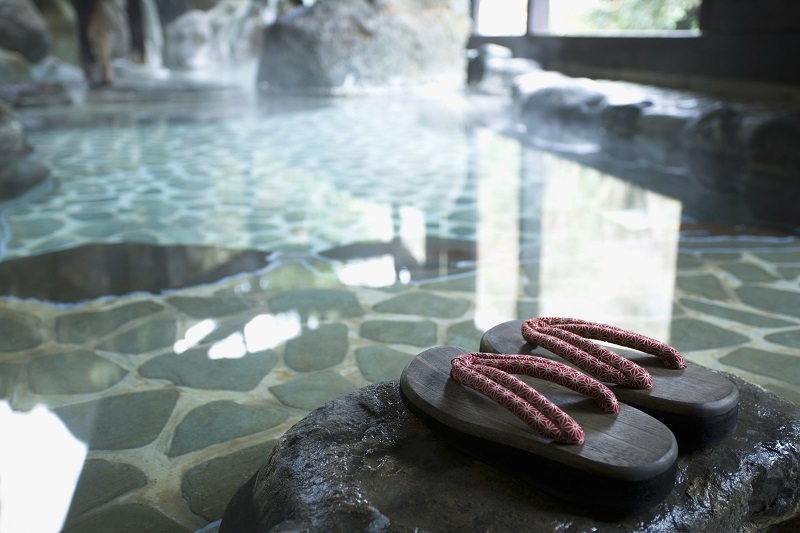 It’s long been known for having some of Japan’s best onsen (natural hot spring) with most hotels in the region boasting their own. But don’t worry; even if you aren’t staying the night, there are plenty of day resorts and spas that also offer the onsen experience. On the sightseeing side of things, Hakone Open Air Museum – which displays hundreds of modern sculptures by artists like Picasso and Léger in an outdoor exhibit – is perfect for both art and nature enthusiasts, particularly those averse to a stuffy museum. Owakudani, a crater formed when Mount Hakone erupted about 3,000 years ago, is also worth a visit. While you’re there try the local speciality, kuro tamago (black eggs), which get their distinctive colour by being boiled in the sulfuric hot springs. 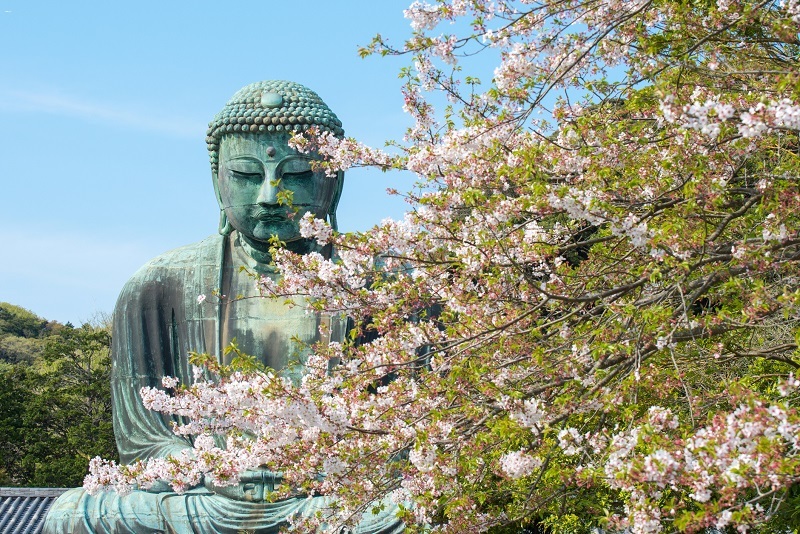 Renowned for its stunning temples and peaceful shrines, Kamakura’s most famous landmark is its giant 13-metre tall Buddha – an enormous bronze statue located on the grounds of the Kotoku-in temple. Hasedera temple is another popular spot among visitors with its expansive views of the city and nearby ocean. Along with its carp-filled ponds, bridges, and plum trees, the temple is particularly beautiful in June during the rainy season when the hydrangeas are in full bloom. After temple-hopping, indulge in a bit of shopping along Komachi Street (look for the big red torii, or gate) where you can find leather goods, glass animals, and ceramics for gifts, as well as kimonos and even replica Ninja swords and stars. While there are no direct bullet train services from Tokyo, getting to Kamakura still takes as little as an hour on the JR Yokosuka Line. Located just an hour and a half from Tokyo, Nagano is a great place to visit if you happen to find yourself in Japan during the winter. Its snowy slopes are home to some of the country’s most famous ski resorts, offering spectacular scenery of the Japanese Alps and fresh powdery snow to ski on. Nagano also enjoys cooler weather during Japan's hot summers, making it a popular destination for hiking in the warmer months. Kamikochi, for example, is a scenic area that attracts millions of hikers every year with its winding rivers, cedar trees, and views of snow-capped mountains. Since the completion of the Hokuriku Shinkansen in 2014, Kanazawa has become an increasingly popular destination with travellers as the journey from Tokyo now takes as little as two and a half hours. Known for its beautifully preserved Edo-era districts and immaculately landscaped gardens, seaside Kanazawa is often referred to as ‘Little Kyoto’, which is great for those who love the charm and nostalgia of olden Japan but are less keen on Kyoto’s bustling crowds. Kenroku-en Garden, with its spacious grounds and tranquil waters, is acclaimed as one of the most beautiful landscaped gardens in Japan, while geisha district Higashi Chaya is also worth a visit for its many teahouses geisha once used to entertain customers. 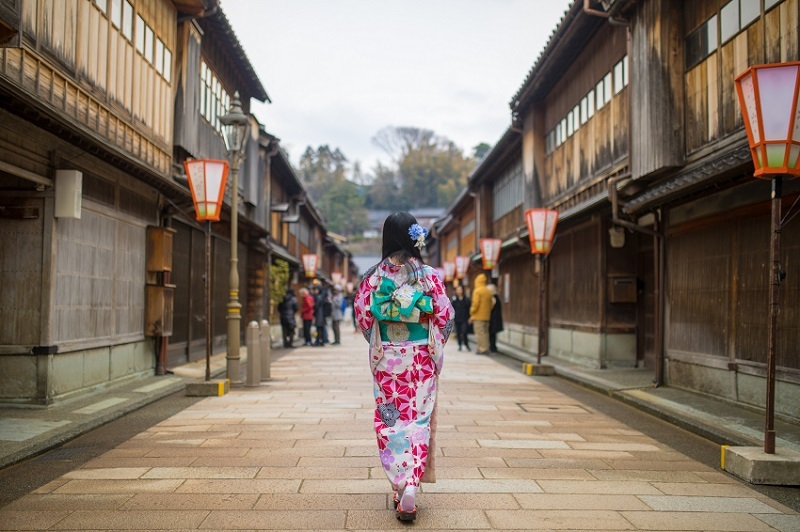 Most teahouses have now been converted to cafes and restaurants, but others now serve as museums which give a glimpse into the lives of traditional geishas. The Tokaido Main Line between Tokyo and Osaka is the route that started Japan’s railway transformation, and to this day, it’s one of the most popular trips among locals and tourists alike. 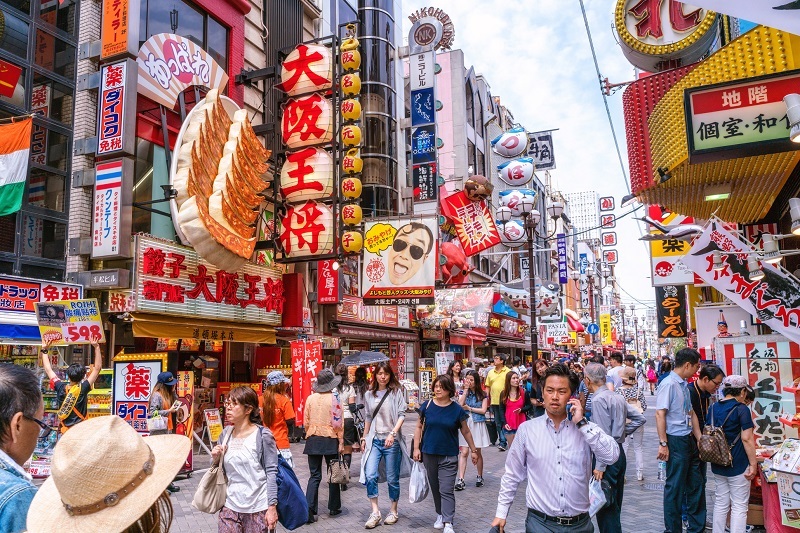 From the gaudy, neon extravaganza of Dotonbori, the bustling commercial centre, to world-famous attractions like Kaiyukan Aquarium and Universal Studios, there’s no shortage of things to do (and eat – Osaka is the home of okonomiyaki and takoyaki) in Japan’s third largest city. Over the years, the trip from Tokyo to Osaka has been cut down even further, from an already impressive four hours to just two and a half. Jihee Junn is a staff writer at The Spinoff who loves to write about travel on the side. Her previous trips have taken her to Europe, the UK, Japan, and South Korea.